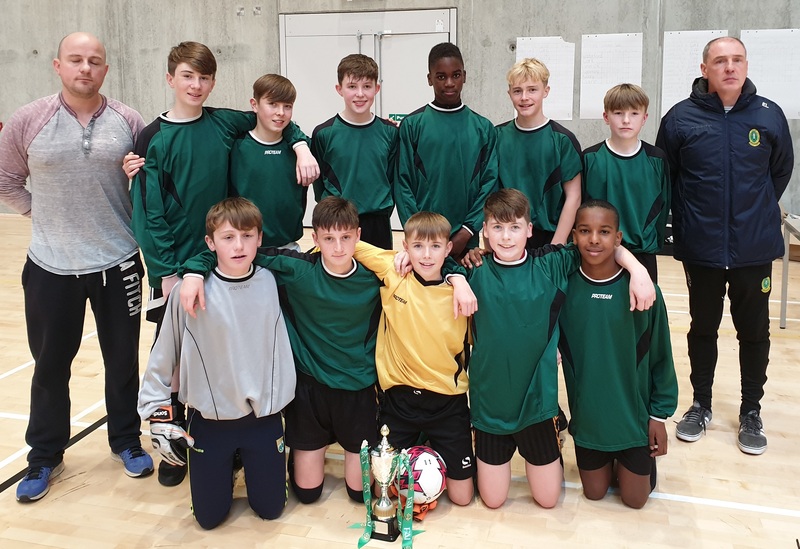 URSULINE SS, THURLES, TIPPERARY (Girls) & MERCY SS MOUNTHAWK, TRALEE, KERRY (Boys) secured top spot at the FAI Post Primary School First Year Munster Futsal Finals in Waterford Arena yesterday afternoon. It was a unique occasion as the host County, Waterford had St. Paul’s Community College qualifying both their girls and boys in the provincial decider. A busy day for Nuala Ryan’s troops. Also in the line-up was 2016 Champions Pobalscoil Inbhear Scéine, Kenmare who were runners up in the girls select twelve months previous. A great track record at this event but a disappointing day for the Kerry contingency as they started and finished the day with two victories but it wasn’t enough to progress further. In the girls division, Scoil Mhuire gan Smál, Blarney and Ursuline Secondary School, Thurles were all square following their five exciting group games. Both schools had won four with Ursuline dropping points in their penultimate outing against their Cork counterparts. With their head to head, two apiece a sensational penalty shoot-out decided the winner. The Thurles tornadoes narrowly won the dramatic showdown 3-2 to clinch the title. A close call for Shane McGlynn’s charges but one that will stand to them when they progress through to the National Finals in early December. In the boys section, title holders, St. Francis College were hoping to maintain a successful repeat of twelve months ago but the Kerry outfit were exceptional in their demolition of their fellow opponents. Mercy Mounthawk finished the group on 13 points with four wins and a draw. The points dropped were a result of their second fixture of the day with a 1-1 result against the Rochestown crew. Both Crescent College Comprehensive and St. Francis College were level on eight points apiece. Runners up spot was guaranteed by the Limerick side as they defeated Rochestown 1-0 in the final group game of the day. 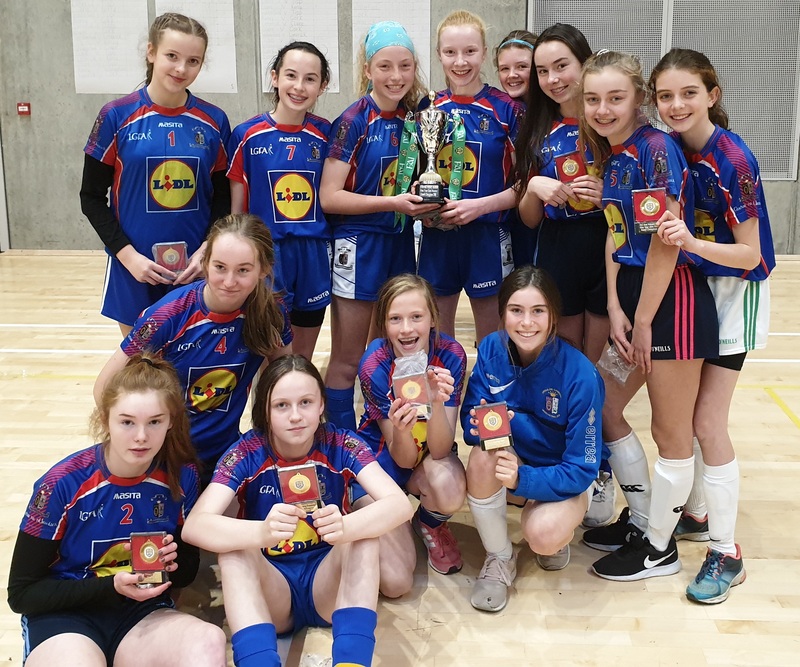 Ursuline Secondary School, Thurles and Mercy Secondary School, Mounthawk, Tralee will now progress to the National Futsal Finals which will take place in the impressive surrounds of Waterford IT Sports Arena on December 4.